Canadian Wildlife Federation: What is a Weed? 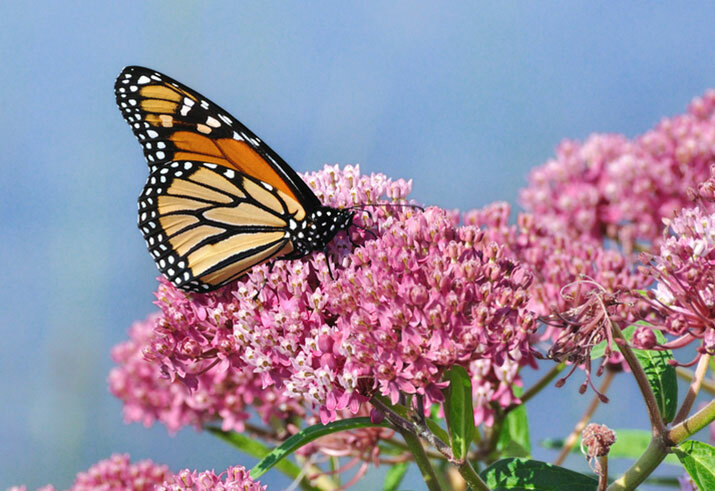 Q. I keep hearing that I should be planting Milkweed in my garden for Monarch Butterflies. Aren’t they weeds? It got me thinking - what other kinds of weeds are actually beneficial? A. The word “weed” can have different meanings to different people. What is considered to be a weed to one person, may be a beautiful plant to someone else. Also, something may be considered a weed in one location but a desired plant in another location. You mention Milkweed. You might assume it has to be a weed since after all it has “weed” in its name! But this “weed” is very important for Monarch Butterflies - Milkweeds are the only plants that Monarchs will lay their eggs on. The seeds from these “weeds” can also be an excellent food source for birds. Because “weeds” can spread quickly if not managed, check to see if birds are eating the seeds. If not, you may want to cut the flower/seed heads off to keep the plants from spreading too much.